A few weeks ago, we were both craving some pasta. It had, after all, been about a month since we’ve had a pasta dish so it was about time. However, neither of us felt like red sauce or anything heavy like ziti or lasanga so Kyle whipped out one of Giada’s cookbooks for a new recipe. You could practically hear the binding crack. This book has definitely been neglected in the past 10 months or so. I almost felt bad. But it’s not like we’ve been denying ourselves from good food, it’s just that so many of Giada’s recipes are a little on the high calorie side and lack the option of reducing the calories while still maintaining high flavor. So I gave in on this recipe. What can ya do? I have to say that I’m really really glad I gave in for this recipe. The sacrifice of calories was well worth it. It was better than any spaghetti with clams that we’d get in any restaurant. Hands down. 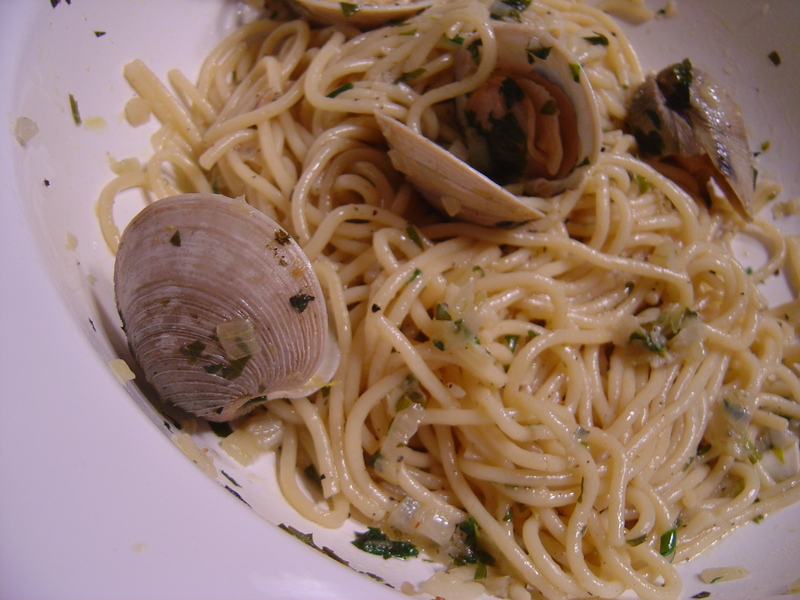 And, this recipe proved to me that you really can have a great fresh clam meal in the middle of winter, something that I had been so skeptical of for years. Kyle is not at all a fan of lemon in his food but the amount of lemon in the sauce was perfect and he was floored by this. As was I because I was partially anticipating him washing off his pasta again because the sauce was too lemony. Yes, that really has happened in my house. It was a low moment but I digress. We’ll definitely be making this again and maybe next time I’ll be brave enough to make some crusty bread to go along with it. Drain pasta in a colander. Do not rinse pasta with water – this will remove the pasta’s natural starches. 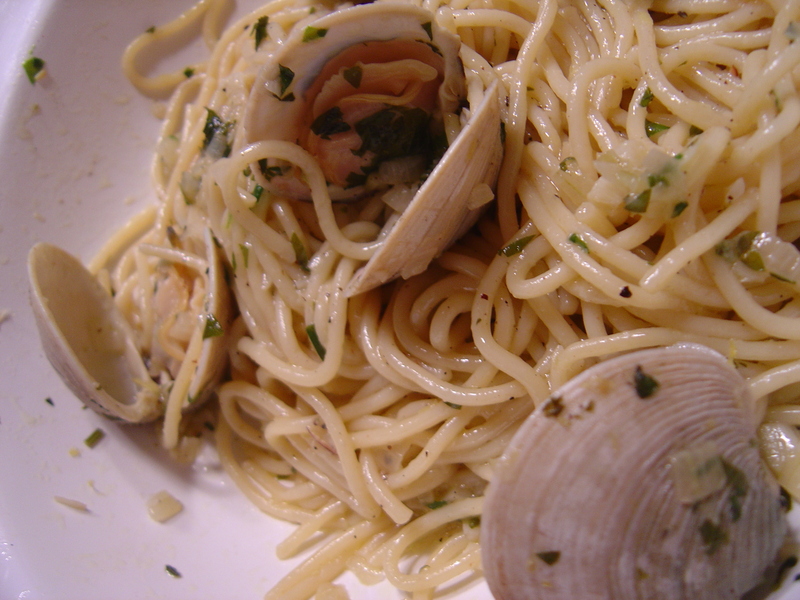 Place pasta into the clam saute pan and mix thoroughly. Check seasoning. Yum! Perhaps I can redeems myself with this dish after a total failure with a clam & linguine dish I made awhile back! Oh my gosh, I am SO trying this! It looks fantastic.